When a user is added to a AD group, that then is added to Cognos group, and the Cognos Group is added in the TM1 application as a group. And that group is given access to cubes and dimensions inside TM1. When user login to TM1WEB, he can not see the cubes. 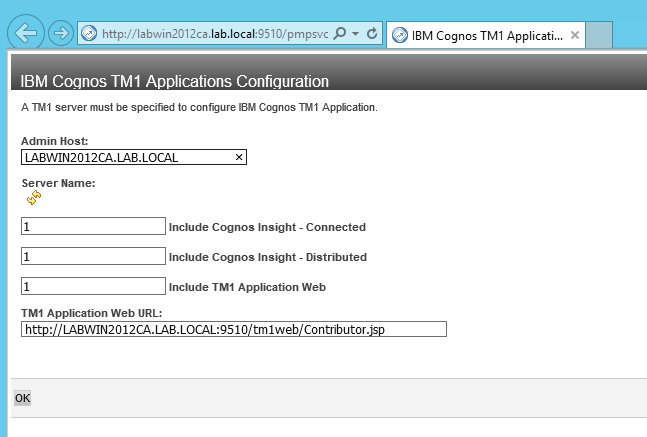 If you look inside TM1 Architect, there is no X for him under the Cognos\group. So Cognos have not understand that he belongs to a AD group. 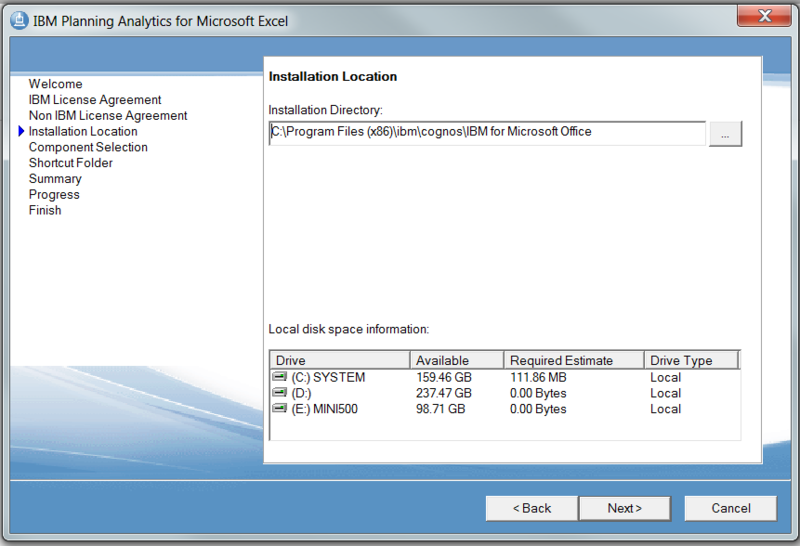 IBM Cognos service run as local system in Windows server. 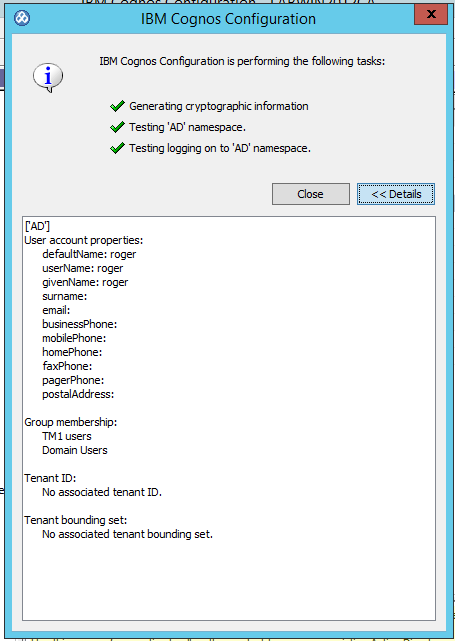 The Active Directory is setup to allow user to login but not to see other users details, like groups. You need to at Namespace – Resource Properties – Binding credentials enter the name and password of a user that have the rights to READ the Active Directory and see what groups a user belongs to. When you right click on namespace in cognos configuration and select test, you will first validate the user and there after try to get a list of the groups the user belongs to. You need the binding credentials if AD is not configured to allow anonymous bind. In TM1 you can add the Cognos group or the AD group direct into TM1 Architect under security – client/groups. Click on Groups and Add New Group. Click on your namespace and search for the group you want to add. When it is added it will look similar, as in the picture above. If a user is successful to login and belongs to a group, there will be a X under that group for that user. User AD/roger can we see belongs to the Cognos group “TM1 users”. Then you have to, inside your TM1 application, give the groups the access they need to the different cubes and dimensions. Does Cognos BI send a mail when you click on TEST of notifications i Cognos Configuration? Yes, cognos configuration test mail function, will send a mail to the default sender with the default sender as sender. If you enter a valid mail address at the company as the default sender, and click test, that person will have a mail. How to avoid the time out for users of TM1? < TM1 Web in \tm1_64\webapps\tm1web\WEB-INF\web.xml at <session-timeout>70</session-timeout> & TM1 Web Applications timeout in Cognos Configuration > TM1 Applications set to 70 for Session timeout (default is 60 min). 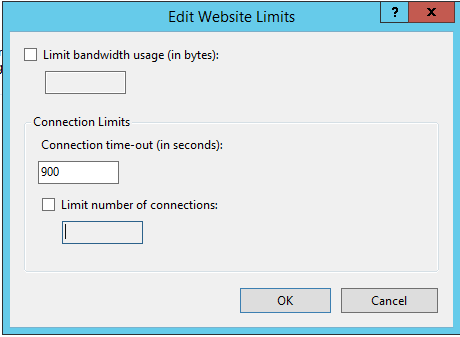 < IIS timeout settings on the Windows server for CA gateway. 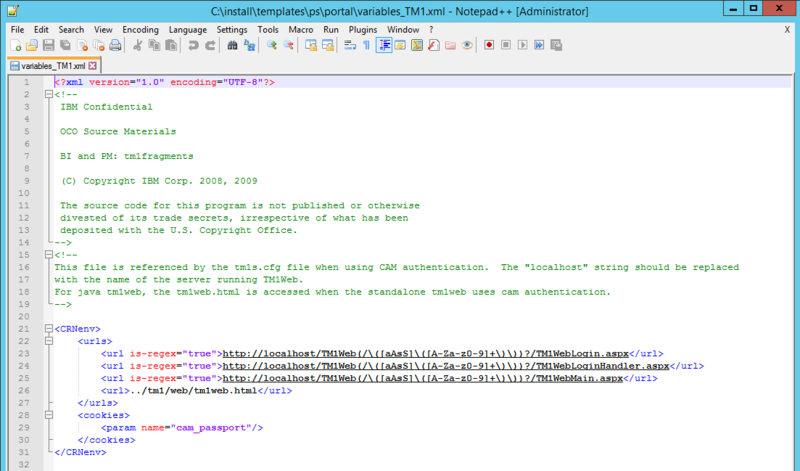 HTTP Response Headers at the ibmcognos/samples/images level – set common headers to Expire Web Content to After 5 days. At the Default Web Site – Limits – set Connection time-out (in seconds): to 900. At Application Pools – ICAPool – Advanced Settings, change Idle Time-out (minutes) to 90. Save the files and restart the IBM TM1 Application Server Service. 2. Modify the “Inactivity timeout in seconds” from the default 3600 to your desired time (for example 7200 = 2 hours”). Most web server timeout settings will come into effect long before the 1 hour time limit, but in the even that no such timeouts exist, this setting acts as a backup. The Cognos timeout is set to a value that is less than the timeout set on in-built portal. Make sure you set the value of “Inactivity timeout in seconds” in Cognos configuration to a value which is greater than the Inactivity timeout of your in-house portal. Whenever a user logs into TM1Web the session immediately (falsely) times out. The web server has an underscore in the machine name. 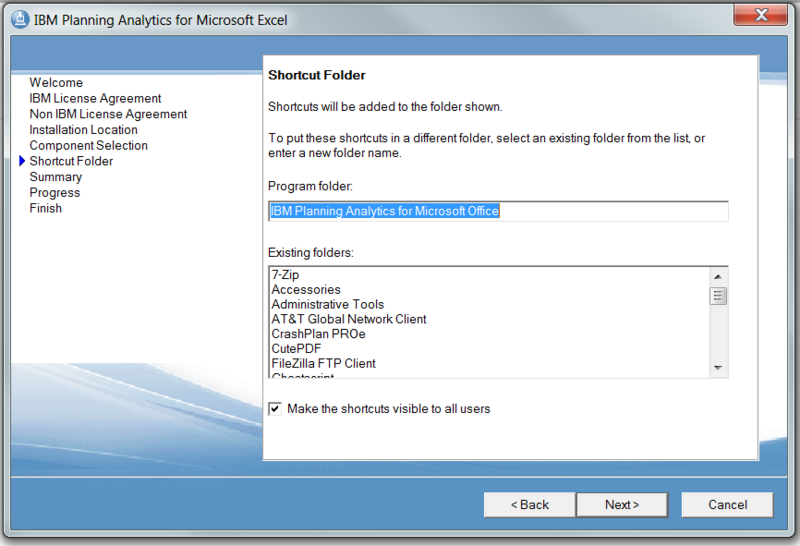 How make SSO with Planning Analytics for Excel work? 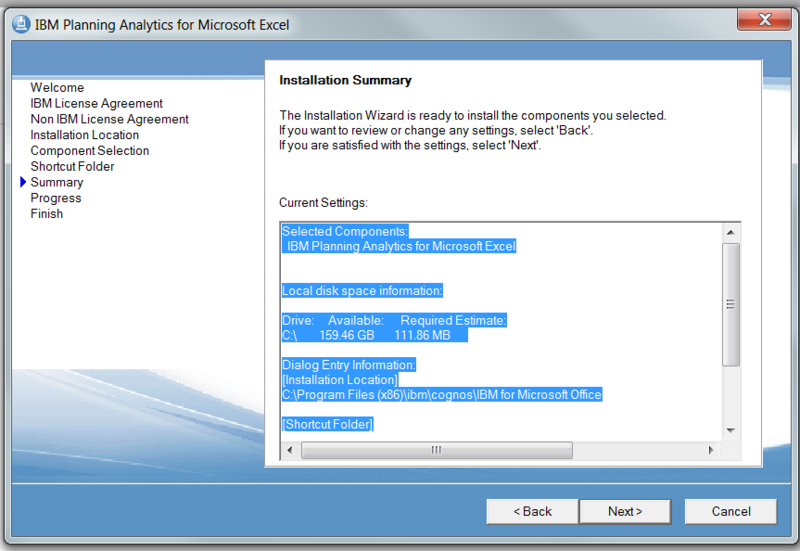 Contact IBM Cognos Support to get the latest instructions on how to setup PAX. Ensure that all servernames in Cognos Configuration uses FQDN, dvs servername.domain.com, this is a must for PAW setup. Check the .\webcontent\default.htm and .\webcontent\index.html files. Update the last line starting with <meta http-equiv=”refresh” as shown below, (where <alias name> is the alias used in the CA_IIS_config.bat script file). Add /ibmcognos/ in most cases. Important that Windows Authentication is on the /ibmcognos/sso folder in IIS manager and that you may need to add Advance properties singleSignOnOption: IdentityMapping in Cognos Configuration for CA11 at security – authentication – namespace – active directory. If Cognos Application Firewall is used, then you need to add the TM1 servers here also with port 9510. Open Cognos Configuration for CA11. 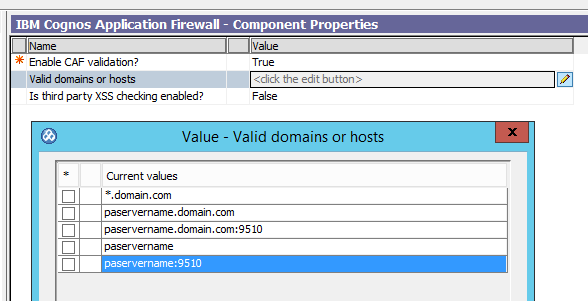 Go to Local Configuration – IBM Cognos Application Firewall. Click on Valid domains or hosts to add the PAservername to the list of approved domains. 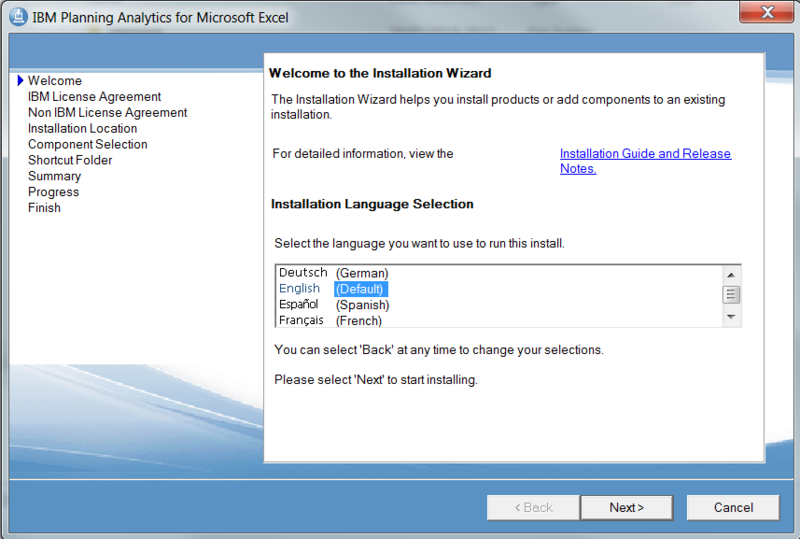 Click OK, save the new Configuration and restart the Cognos Analytics services. If above is not done, you get error DPR-ERR-2079 when you logout of TM1WEB. Check that Print Spooler Service is running in your Windows 2012 server. Install C++ 2010 x64 redistribution (vcredist_x64.exe). Under Environment point to the CA11 server. Set Ping timeout in seconds to a value like 480 seconds. Set Maximum memory for Websphere Liberty Profile in MB to 4096, if TM1 Web or TM1 Application Web are getting unresponsive and Planning Analytics logs contain some errors java.lang.OutOfMemoryError. At TM1 Applications leave the Maximum memory in MB at default 768. Enter TM1 Application Server Gateway URI to http://paservername.domain.com:9510/pmpsvc and External server URI to http://paservername.domain.com:9510. Consider to change Session timeout to a higher value. 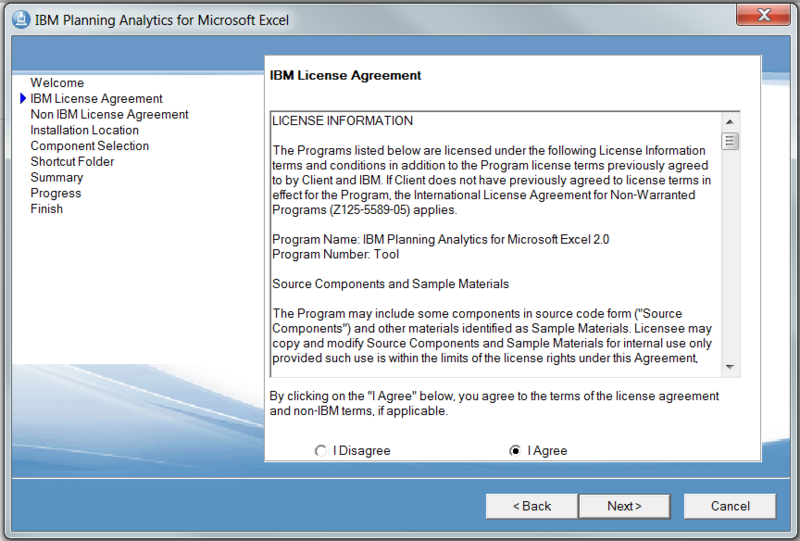 Skip the Logging, Security, IBM Cognos Application Firewall – they have limited function in this version of PA2. Start the SDATA and Proven_Techniques example TM1 instances. We use Proven_Techniques to test SSO, because it have a short TM1S.CFG file, so it is easy to add fields. Open C:\Program Files\ibm\cognos\tm1_64\samples\tm1\Proven_Techniques\tm1s.cfg in notepad++. Save the file and restart the TM1 instance Proven_Techniques. Erase the tm1p.ini file from here C:\Users\%username%\AppData\Roaming\Applix\tm1 to allow it to get the new values. Start Tm1 Architect, double click on Proven_Techniques to login. Enter ADMIN as user to login. Right click and select Security – Client/Groups. From menu Clients select Add New Client. Click on your namespace name, in out example AD. Click on TYPE in top right corner to enter the name of the user. Enter the domainnamespace/username. Namespace name is the name you gave it in CA11 cognos configuration. Username most be the users name correct spelled as it is entered in Active Directory. Click on yellow arrow to add the user, and click on OK.
Mark the user to be ADMIN, so he can then add other users later. 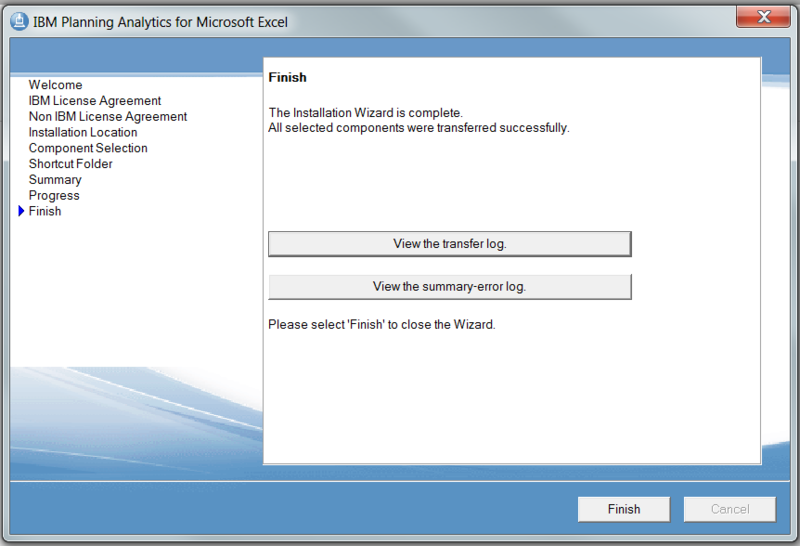 Click OK and exit TM1 Architect. 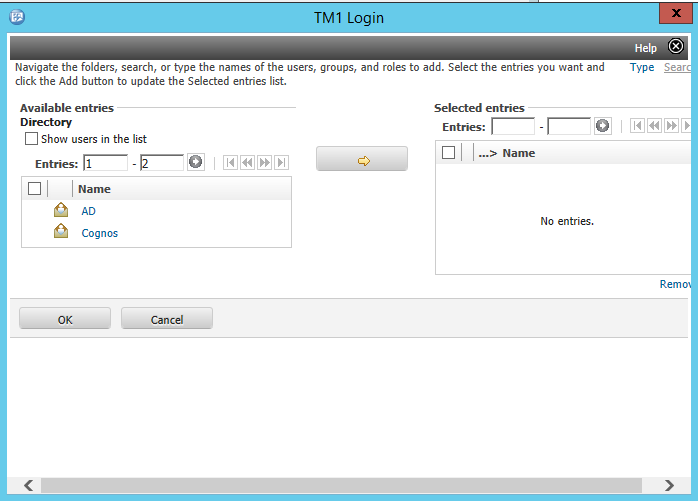 Now you turn TM1 application to security mode 5,and then this user can login and add additional users in TM1 architect. Save the file and restart the TM1 instance. The files in C:\install\templates\ps\portal should not be changed. If variables_TM1.xml is not referenced in TM1S.CFG file, then it is most likely not used. Copy the files and folders in C:\install\webcontent ontop the C:\Program Files\ibm\cognos\analytics\webcontent folder. Go into C:\Program Files\ibm\cognos\analytics\webcontent\tm1\web\tm1web.html and see that it is the updated file. 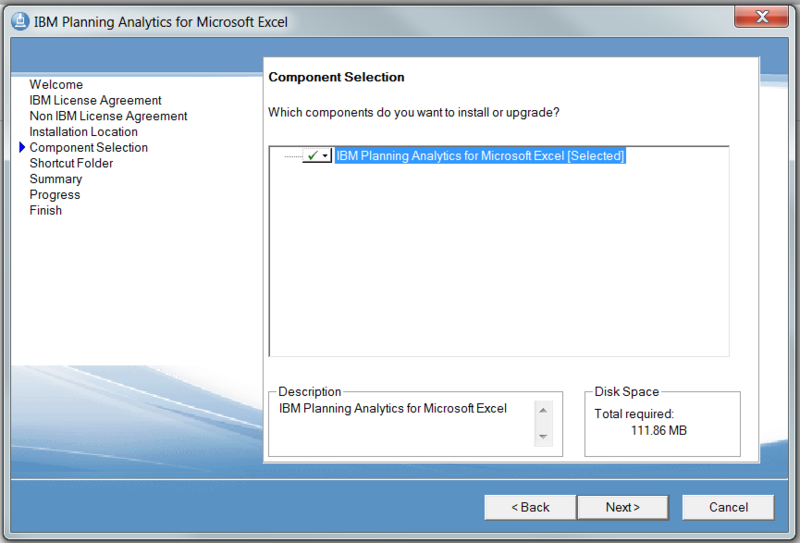 Copy the files and folders in C:\install\templates to the C:\Program Files\ibm\cognos\analytics\templates folder. Copy the C:\Program Files\ibm\cognos\analytics\webcontent\tm1 folder to C:\Program Files\ibm\cognos\analytics\webcontent\bi folder. So you also got a TM1 folder under /webcontent/bi. Copy the updated files planning.html, pmhub.html, default.htm and index.html from C:\Program Files\ibm\cognos\analytics\webcontent to folder C:\Program Files\ibm\cognos\analytics\webcontent\bi. Restart IIS with iisreset from a CMD prompt. Surf to http://paservername.domain.com:9510/tm1web to check that it works. The first time you start TM1 Application portal, then it will connect to the PA and BI setup. You must surf to http://paservername.domain.com:9510/pmpsvc to set it up. Enter the host name and the list of TM1 server names should be filled out. Select the proven_techniques from the list. If it looks like above – please try a different version of web browser. Above is the correct look, you get in FireFox. Press F12 inside Internet Explorer to find the Emulation in use. Above you see it is using Document Mode 7. 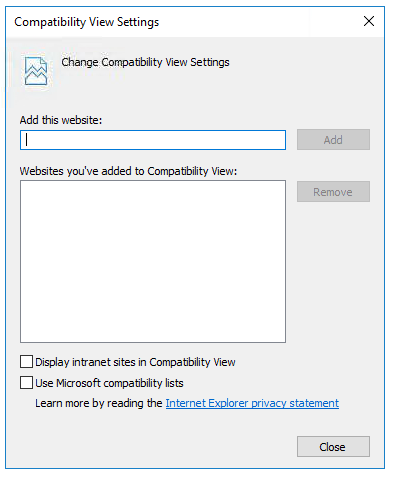 The blue text “via intranet compatibility settings” tell us that it is the compatibility settings in internet options on your computer that give the issue. Open it and clear all values out. Test again. Change the mode to Edge and it may work for you. Press OK to save the values to TM1 Application Portal. When it is working it should look like above, if you are ADMIN in the Proven_Techniques application you should see all the icons to the right. This configuration is stored in C:\Program Files\ibm\cognos\tm1_64\webapps\pmpsvc\WEB-INF\configuration\fpmsvc_config.xml. TM1 Operations Console is configured in a web interface. 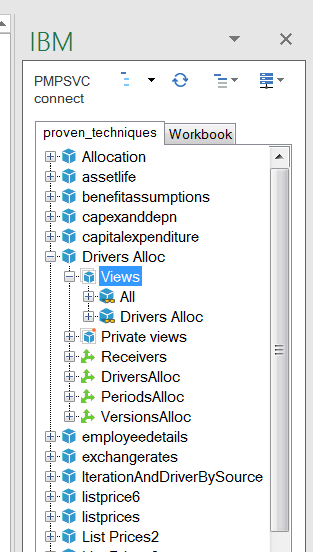 This UI presents multiple options of configuration, including the references to the Cognos Analytics environment. 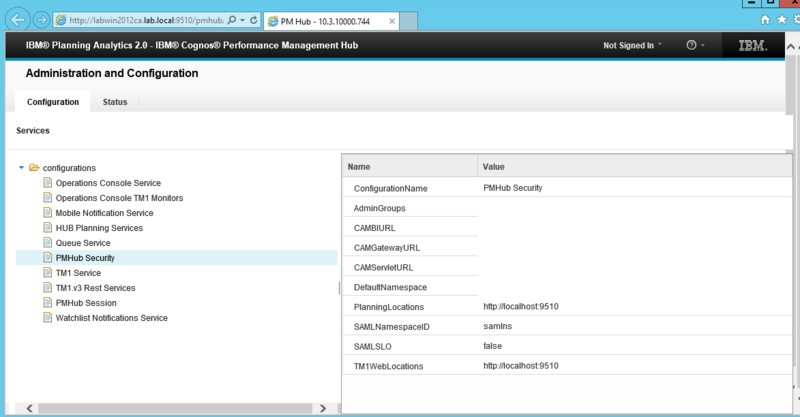 Expand configurations and select PMHub Security. The values should save automatically in a few minutes. to check that it works. TM1 PMPSVC and PMHUB must be setup before you can get PAW to work. You must setup PAW before PAX are setup. 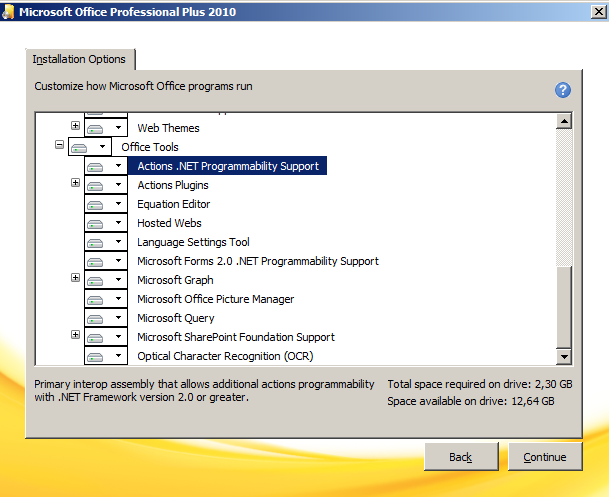 Check that Microsoft Office have the primary interop assemblies (PIAs) for Excel installed. In Office setup it is named NET Programmable support. If your excel is 32 bit then you get this error if you select the wrong file. File cor_winx64h_2.0.29.10_ml.tar is for 64 bit excel. PAX should connect to the PAW (Planning Analytics Workspace) URL, like http://pawservername.domain.com:80/ to get the “set editor” to work. Enter a friendly name, like PMPSVC Connect. If the test fails, check that servername is correct spelled, and check that Windows Firewall on the server does not block port 9510. Now you can in Excel click on Connect – Your Friendly name – proven_techniques to start working with that. Now you can drag views from PA2 (TM1) into the spreadsheet. To get “Replace members” to work you need to install PAW. If you use a TM1 instance that use securitymode=1 (like example SData) then “set editor” will work. Above when you point PAX to the PA server and use a PA (TM1 instance) that uses SSO. If you in PAX connect to PA (Tm1) server at address http://paservername.domain.com:9510/ or http://paservername.domain.com:9510/pmhub/pm then the settings inside pmhub security will tell pax where to go to authenticate. if you in PAX connect to PAW like http://pawservername.domain.com then the setting in paw administration (http://pawservername.domain.com:8888) will point to the authentic provider. Then the value in C:\Program Files\ibm\cognos\analytics\webcontent\pmhub.html and C:\Program Files\ibm\cognos\analytics\webcontent\tm1\web\tm1web.html, can also be important to make it work. Note that this files are also in folder C:\Program Files\ibm\cognos\analytics\webcontent\bi. Ensure you use only FQDN to the servers. First time you start PAW, you point it to a Native TM1 instance with security mode 2. 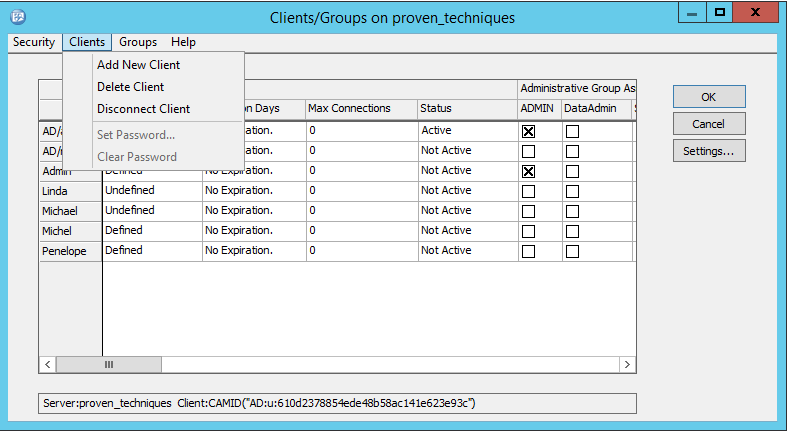 Then you add your CAM users with TM1 Architect. Set this CAM users to be ADMIN in that instance, and they will be the first ADMIN in PAW. Switch that TM1 instance over to security mode 5. Change in IBM Planning Analytics Workspace Administration Tool from TM1 to CAM authentication mode. You must use security mode 1 first, before you can use PAW with security mode 5. IBM Cognos BI Authentication Namespace ID: AD (the same namespace id you have entered in Cognos Configuration for CA(BI)). Please note that above setup is for PAW version 29. Other versions of PAW may require other configuration. 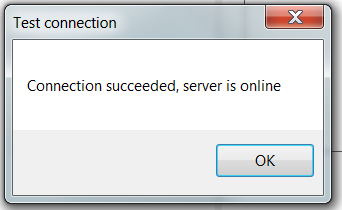 When user in IE surf to Cognos Connection to login they get a AAA-SYS-0001 error. AAA-SYS-0001 : An internal error occurred. java.lang.RuntimeException: A visa already exists for this namespace.java.lang.RuntimeException: A visa already exists for this namespace. 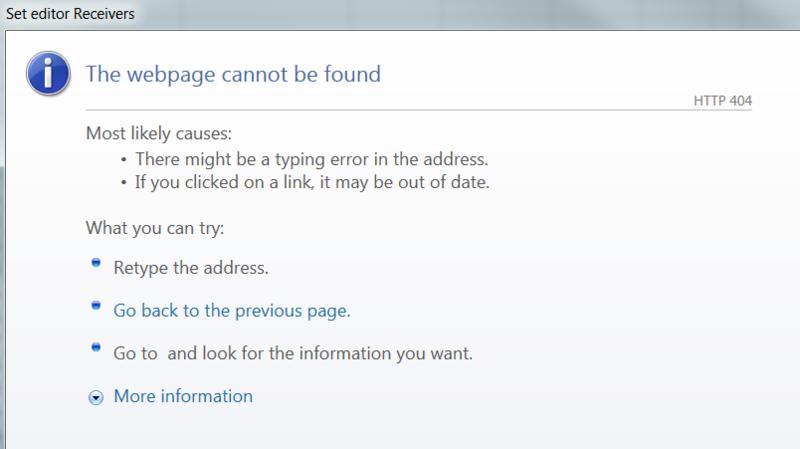 Inside Internet Explorer, clear the cache and try again. Press CTRL+SHIFT+DELETE to bring up the “delete browsing history” dialog. Slow or no login at all to a new namespace in Cognos Connection. 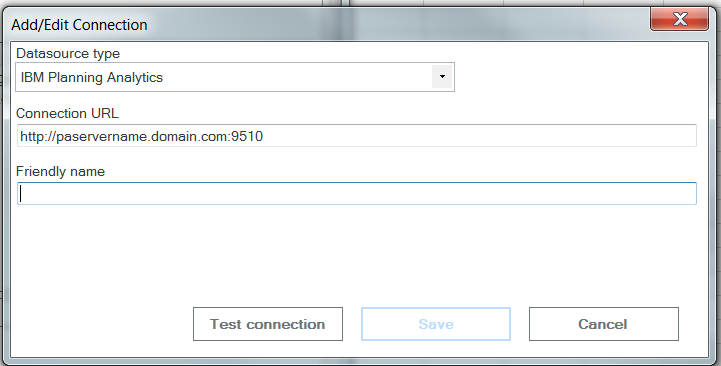 The user surf to http://servername/cognos8 and then waits. 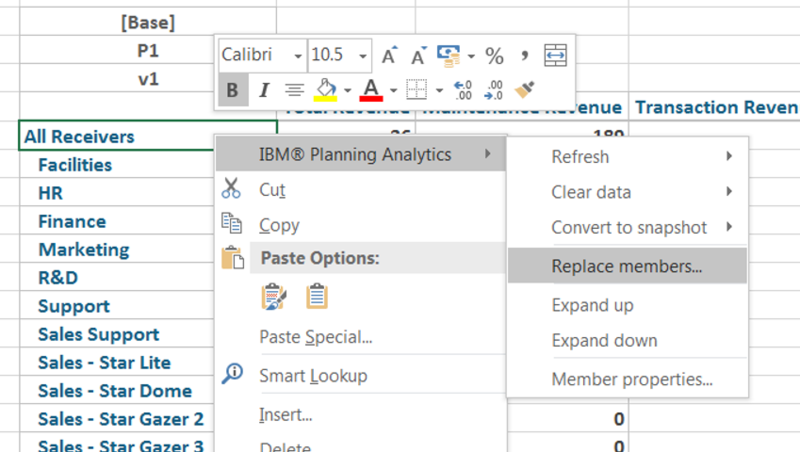 The other namespace setup in Cognos BI works fine. Instead of set the domain name in Cognos Configuration Namespace Host and port, try with the IP to the closest Microsoft Windows Domain Controller in that domain. Change to 10.0.0.78:389 if your Domain Controller uses that IP address. 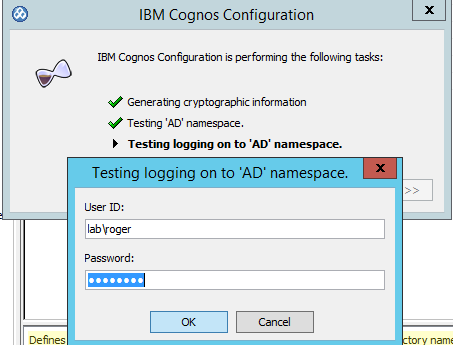 You can test a change in namespace host without saving Cognos Configuration, if you right click the namespace name (under authentication in left panel) and select test, Cognos will do a authentication test to that DC on the lower IP layer and not use the Cognos dispatcher or Cognos Gateway. When the dialog comes up for username and password, enter the user name as DOMAIN\username. The details will show that Cognos first checks that the user exist, and there after ask for a list of all AD groups that user belongs to. If this test take long time, the login for the Cognos user at the Cognos Gateway (iis) will take at least the same time or more. Close Cognos Configuration without save, and your test values is gone, and your are back to the previous setup in Cognos. No associated tenant bounding set. To see if you have network contact with your DC, start a PowerShell prompt on your Content Manager server. then you should ask your NETWORK team to check routers and firewalls and ACL tables between the networks. Cognos Content Manager will bind to the DC schema to obtain the list of all “known” DC’s based on the AD Structure. When click save in TM1 Cognos Configuration you get a error message that you can not save, but can save in plain text. 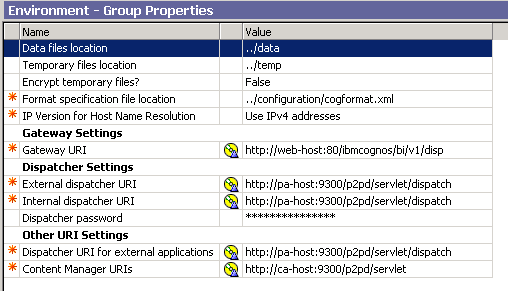 The Cognos TM1 Application Web is using the value Environment – group properties – Gateway uri as default values in http://localhost:9510/pmpsvc setup. If localhost is used in Cognos Configuration, the BI services (if it exist) on the local server is used as key for the creation of the crypto files. [ ERROR ] CAM-CRP-1132 An error occurred while attempting to request a certificate from the Certificate Authority service. Unable to connect to the Certificate Authority service. Ensure that the Content Manager computer is configured and that the IBM Cognos services on it are currently running. The HTTP result code ‘500’ was returned from the server. when you try to save Cognos Configuration. In Cognos Configuration, select Local Configuration, click the and then click Add. Type StandaloneCertificateAuthority in the Name box. Type True in the Value box. 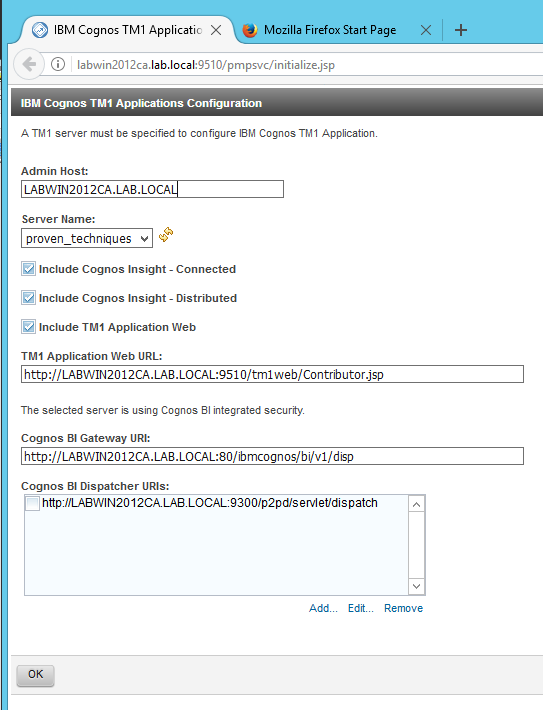 This will make the TM1 cognos configuration not use the BI values to create the crypto keys. Check also that you have not installed a fix pack over a TM1 installation that uses custom key certs. Check that the Cognos Controller FAP or Cognos TM1 admin services is stopped when you update Cognos Configuration. Check that you do not have doublets of the Cognos TM1 admin services.